Ted Munger is a photographer in Dallas. He’s very good, and has taken pictures for a bunch of big companies, lots of ad campaigns, and magazines. 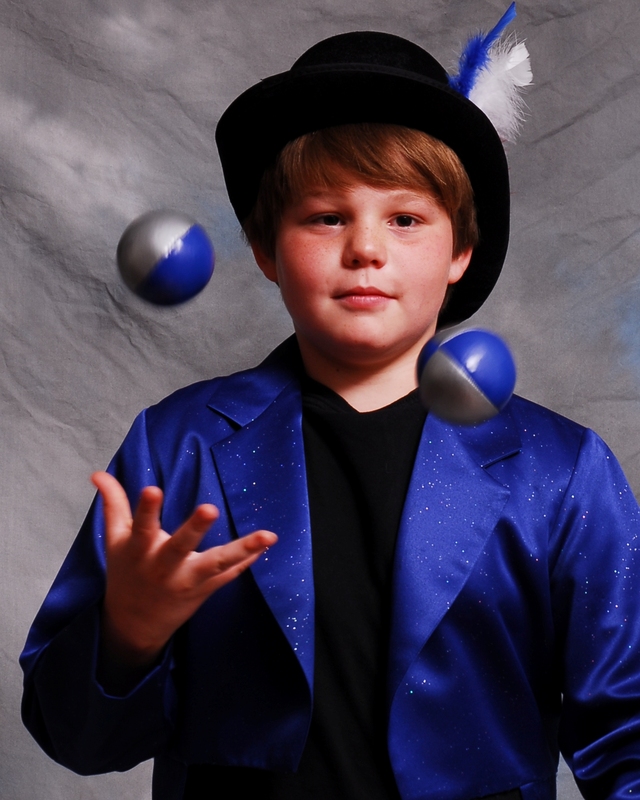 But no matter how hard he tried, and how many times I juggled, we had a hard time getting a good photo of me juggling. Either the balls, rings, or clubs were in front of my face, or they were out of the frame of the photo — or else it looks like I’m just randomly throwing them around instead of actually juggling in a pattern. We’re going to try again…for now, this is the one I’m using for a circus program. What do you think?